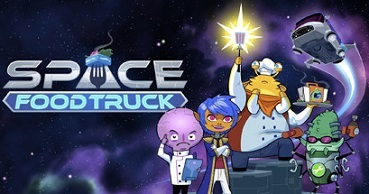 After an unsuccessful run at a Kickstarter campaign, One Man Left Studio's title Space Food Truck has emerged on Steam via the early access program. The game is a bit of an oddly themed mix of genres that we sometimes see attempted by these smaller indie game studios and as such was not an easy sell on Kickstarter. It is good to see it come to light none the less thanks to the early access program. While the game is currently still in a beta state, it is fully playable and receiving positive reviews from the Steam community. 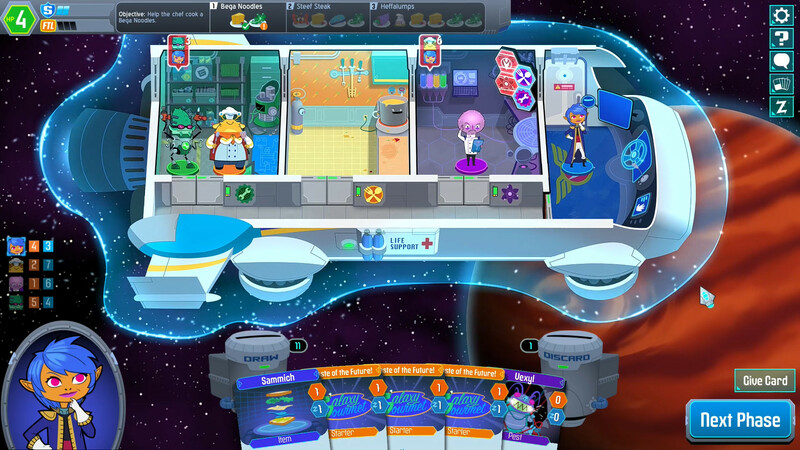 Space Food Truck is a cooperative game for four players that can be played with ai or with other people via cross-platform multiplayer. 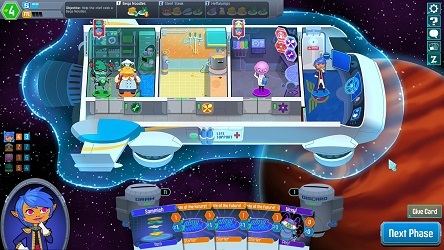 Each player takes the role of one of the four crew members on the ship. The mission is to gather various exotic ingredients and get them to the chef so that he can create the requested dishes. These ingredients along with items to assist in preparing them and dealing with other space hazards are acquired through the mechanics of a deck building card game. Each crew member has his or her own deck, and can trade unwanted cards for money to acquire cards more appropriate for the tasks on hand. If the needed cards are not available form the ships stores, then the ship and crew can travel to other planets in a procedurally-generated galaxy in search of stores or encounters where the needed cards are available. Although the game plays on something akin to a board (the ship), the card play is the central core mechanic of the game. Space Food Truck features stylized vibrant cartoon art that is delivered in a quirky humorous style that doesn't take itself too seriously. Despite this, initial reports from players on Steam indicate that the game is quite difficult to win, but they are giving it largely positive reviews just the same. Some of this may change or be re-balanced as the game moves from early access to its final release.